Feeding a garden something other than water is new to me, but I’m giving it a try. Today, I put a mix of nitrogen, phosphate and potash in the dirt near my tomatoes, beans and peas in hopes that the tomatoes might get bushier and something — anything — might come from the beans and peas that are left. Seriously, I never really had to feed my vegetables in my Wisconsin garden anything but water. Especially my tomatoes. But then again, that garden stood on what had been a cow pasture for many, many years, before it was turned into acre-plus lots. 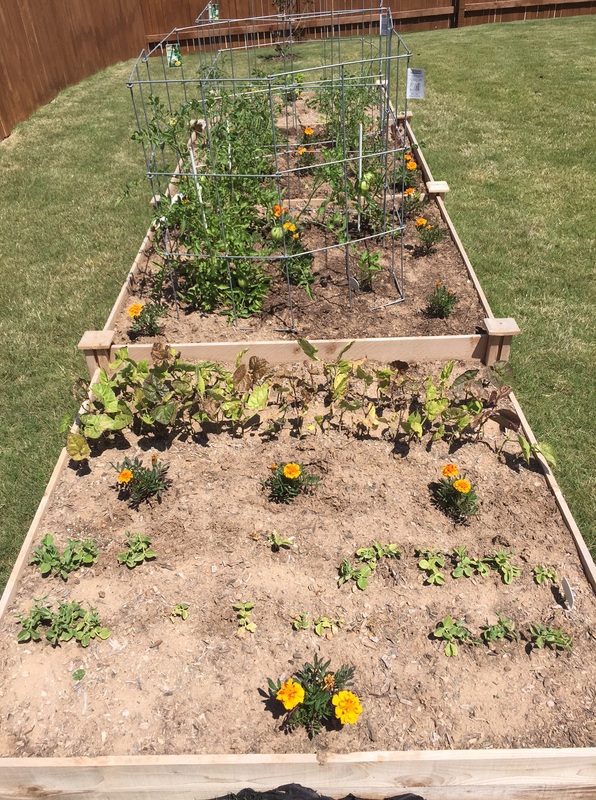 So, yes, I was spoiled because the dirt seemed to have everything it needed for vegeteables to grow, as long as I made sure to water it every now and then. I know I should probably go the natural route with compost, but right now (this week especially) I don’t have the time. I’ll be out of town for work most of the week, and since there’s rain forecast almost every day, I figured now is as good a time as any to try the plant food mix. Guess I’ll know for sure either late Thursday when I get back. 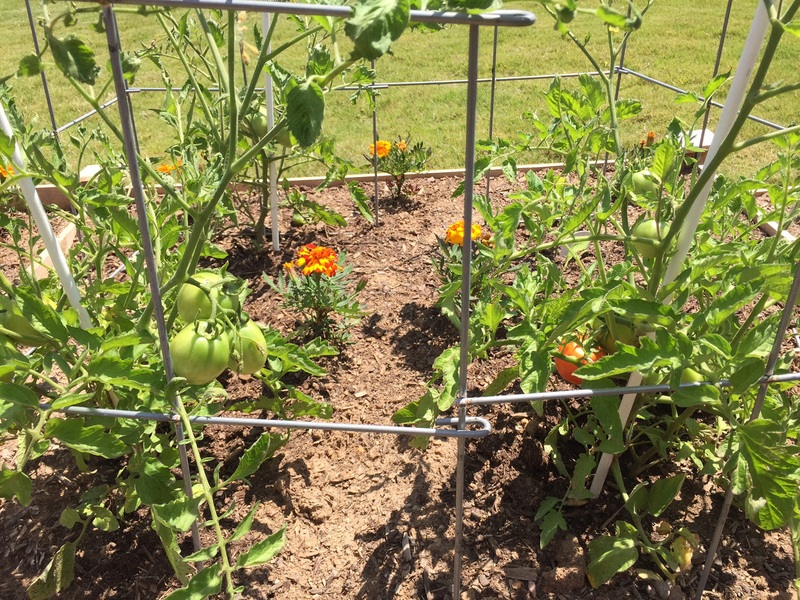 This entry was posted in Gardening and tagged Fertilizer, plants, tomatoes on May 3, 2015 by Julie Riebe. Aw, your beans do look a bit sad. Perhaps some macro-nutrients will help the, along. I’m betting that the soil under that (Bermuda) sod is pretty void. Laying 8-10 inches of organic matter in the off-season may remedy. Good luck!